Main product was £134.99 (from 01/03/2018 to 10/04/2018), now £104.99. 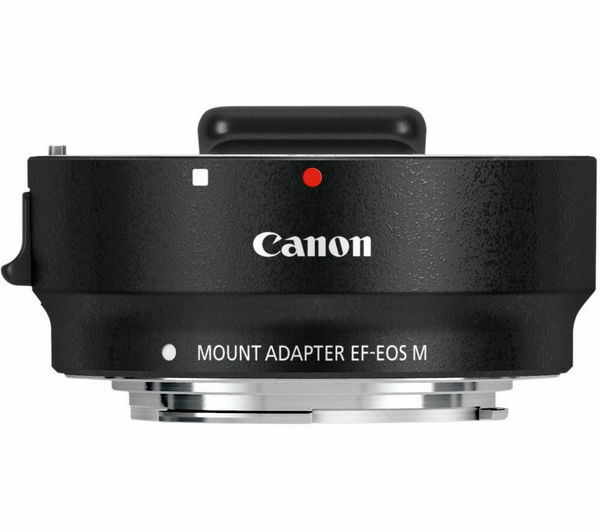 The Canon EF-EOS-M Lens Mount Adapter gives you more options with your photography thanks to its versatile mounting facility. 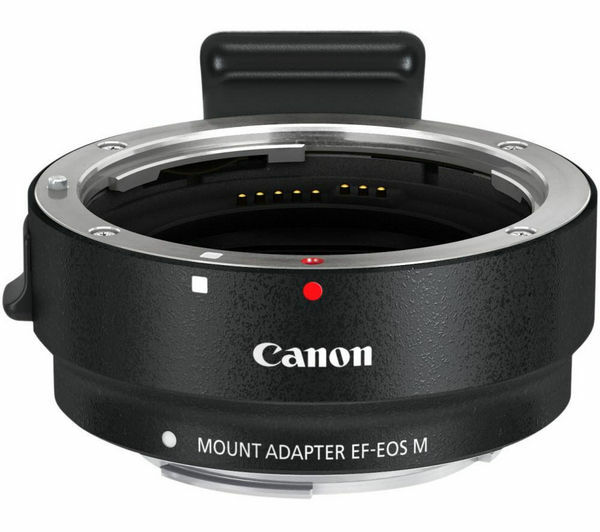 This fantastic EF-M mount adapter allows access to over 60 EF and EF-S lenses, so you can fit lenses from Canon's expansive EF and EF-S lens to the EOS M, including specialist lenses such as macro and fish-eye models, to get as creative as you like. It converts the EOS-M lens mount to accept EF lenses, so you can make the most of your Canon digital SLR camera. Access the full spectrum of Canon EF and EF-S lenses so that you can use your existing lenses while trying out new ones to achieve the results you want. The extensive Canon lens range include fixed-focus and zoom models covering a focal length range from 8 mm to 800 mm , so you'll be able to capture anything from captivating widescreen landscapes to gorgeously detailed, extreme-telephoto wildlife shots. Take your experimentation further as you try Macro and Fish-eye lenses for amazingly detailed close-up images or uniquely and appealingly warped photos respectively - perfect for small-scale nature work or action and sports photography. The EF-E-OSM Lens Mount Adapter is small and lightweight, and the removable tripod mount provides great support for lenses on a tripod. If you're a mobile photographer, this superb design will really help you to travel light, making for an unbeatable combination of practicality and creative flexibility. 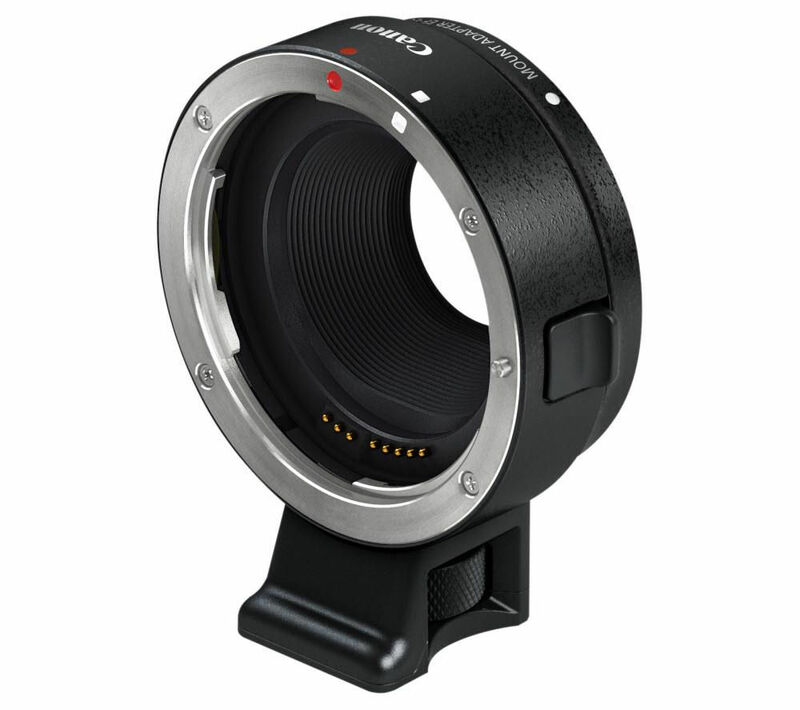 Choose the Canon EF-EOS-M Lens Mount Adapter to open up a world of imaging possibility with your camera and photography in general.